The Indiana Farm Bureau wanted to give consumers a glimpse of the real people behind their state’s agricultural industry. So they decided to give a face to their farm bureau members. To accomplish this, they had us make stand-up signs with life-sized pictures of their members for their fair display. You know how they say that a picture speaks a thousand words? 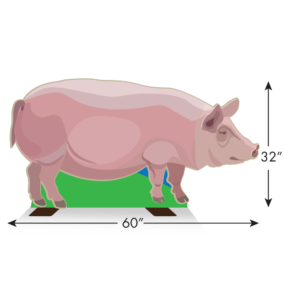 That was the logic that the Indiana Farm Bureau adopted for their fair display. It’s why they decided to use some space to feature life-sized images of some of their farm bureau members. 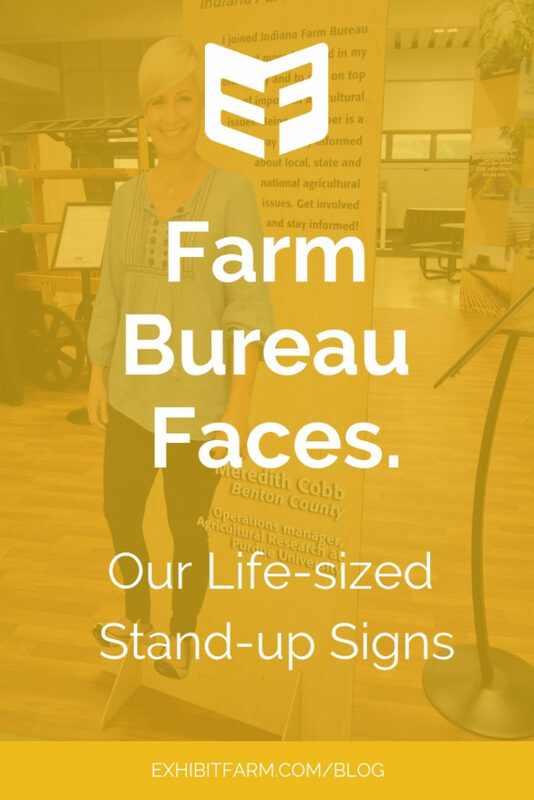 They hoped that, by letting visitors see the smiling faces of their members, people could feel more connected to the farm bureau and the people in it. So the Indiana Farm Bureau found some smiling members and took a few photos. They also gathered some quotes from these people and had us include these quotes on the stand-up signs next to each picture. We made these stand-up signs out of plywood. 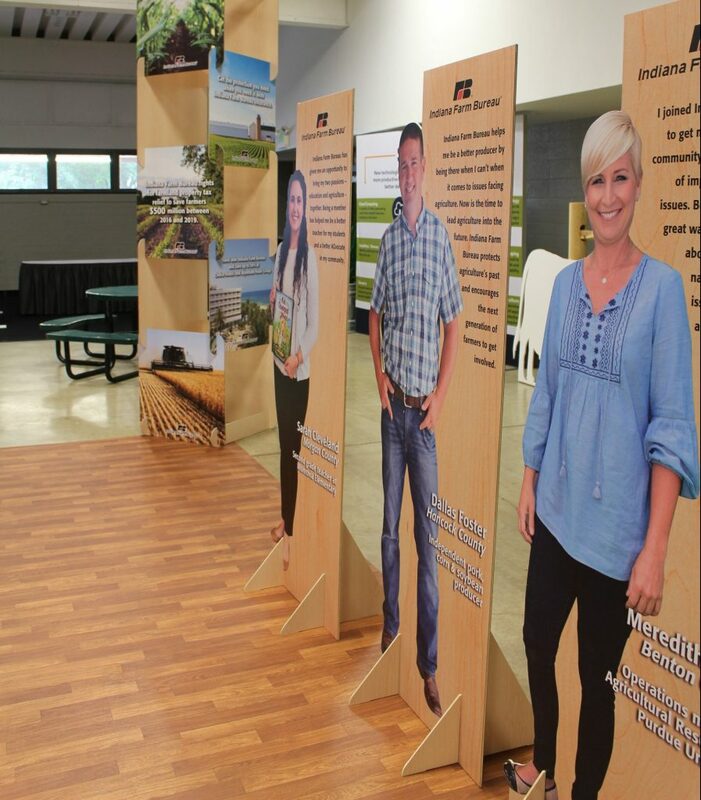 The graphics mainly feature those life-sized, smiling pictures of real life farm bureau members with a fresh wooden texture in the background. The signs also included the members’ names, employment, and some testimonials about the experiences these people have had with the Indiana farm bureau. 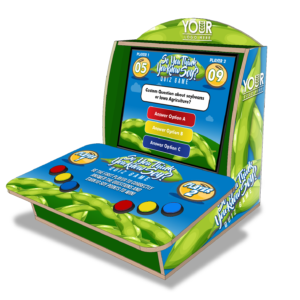 Our designers arranged the text neatly around the images. 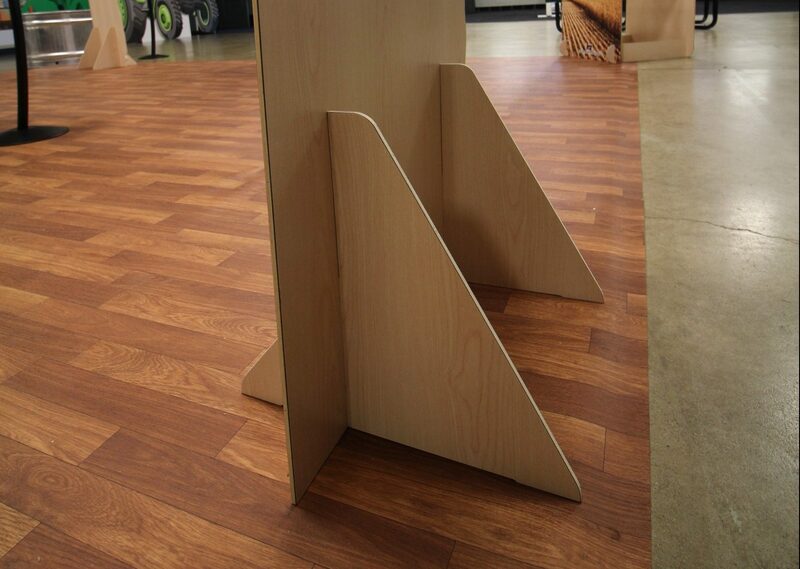 Two additional plywood pieces cut into a triangular shape support each sign. 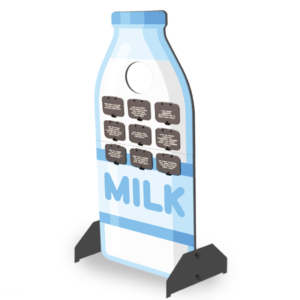 These two boards insert into slots near the foot of the sign and serve as a steady base for the display element. Assembling the signs just requires the correct placement of these pieces. Disassembly is just as simple, and no tools are necessary to either put it together or take it apart. As an extra perk, the three individual pieces stack in a flat pile, making these stand-up signs pretty easy to transport.